Following NA3AM’s longtime interest in telling a story about the modern refugee crisis, in May and June 2017 we created an experimental comic. 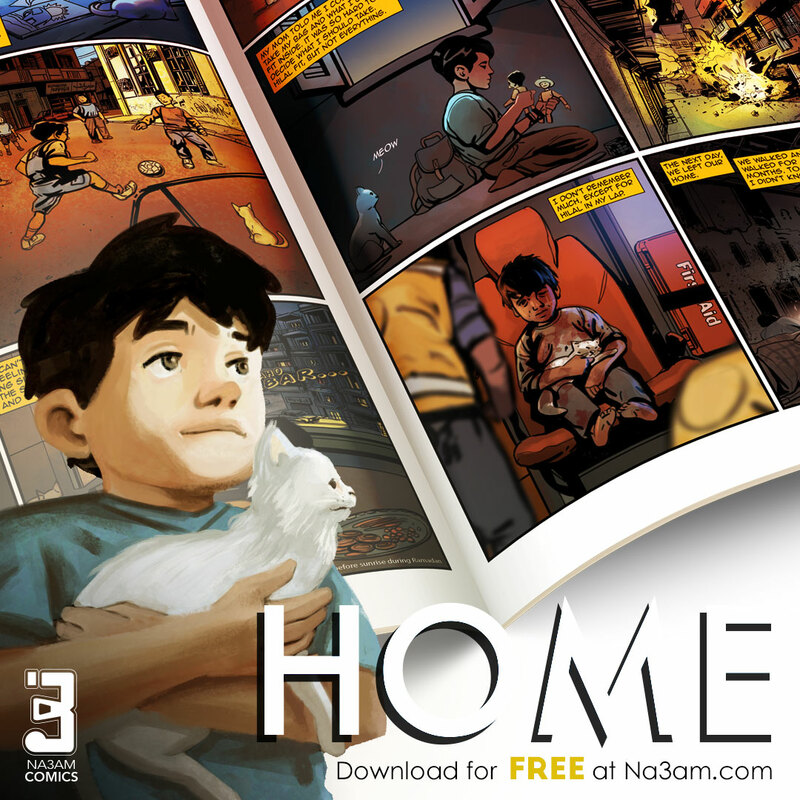 HOME was released one panel per day for the whole month of Ramadan on Instagram. The story focuses both on the hardships of being a refugee with no home and on how Ramadan is a time when people get together and find trust and hope in the comfort of each other. The story of home follows a young boy named Firas as he recounts his memories of Ramadan, from the good years to the tough years during the war. The recurring accounts of Firas’ Ramadan experiences acts as a reminder that there is light in the dark. We felt using Ramadan to symbolize this hope was a unique take. For HOME, NA3AM assembled the team of Sam Pak, the company’s Art Director, and artist Maysam Barza. Pak’s story is heartfelt and genuine, told by a man who, though he isn’t a refugee, is a man who has left his childhood home uncertain of when he can return, while Maysam’s art brings Firas’s home to life. As a team we are proud of what we produced and glad to see positive responses from so many people. It means a lot to us and further grows our interest in telling these kind of stories, potentially in the one panel per day format, videos, or interactive experiences. If you want to know more about the creation of HOME we urge you to go check out the brief behind-the-scenes video and the “making-of” image on Instagram. Thank you so much to everyone who followed along on Instagram for your interest, shares, likes, and comments on the HOME comic-book experiment. For those who would like to read the full HOME comic we have added a PDF download link… right… here.